Hello fellow readers/bloggers! Hope everyone is doing well. It all started with an idea. 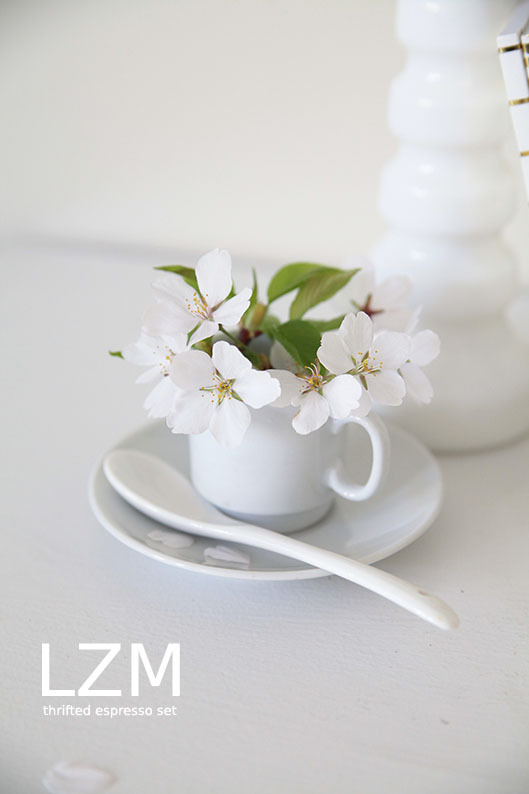 The idea of styling a shoot and creating an image that fairly represents LZM and the person behind it, ME! Although the final header wasn’t what I initially envisioned, it still came out perfect. In order to capture a representation of LZM and myself, I had to bring together some of my obsessions. 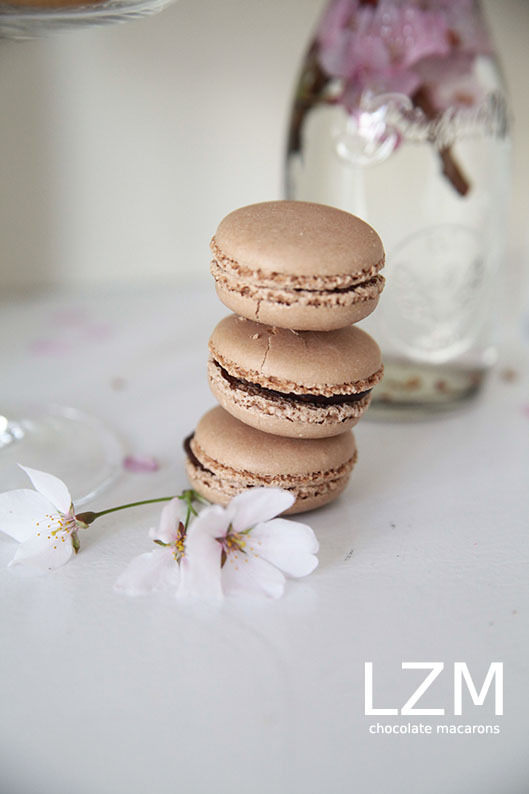 The two things that first came to mind were cherry blossoms AND macarons. Both very simplistic, delicate, and fancy to me. Other requirements were lots of natural light, white, gold, an airy happy feel, and creating an eye-candy setting that exudes creativity. There were challenges of course, the most obvious was time. It was a fight against nature AND Zoey. 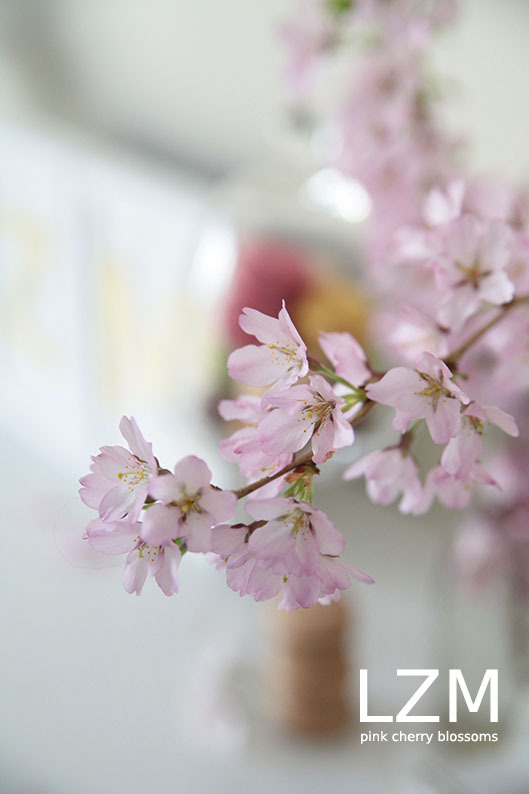 First, the cherry blossoms peak for only 1-2 weeks (the most) before they fade. The timing of the shoot was solely based on their blooming period. Secondly, the actual shoot couldn’t begin until Zoey took her nap. Once I put her down, I had exactly TWO hrs to style the set and shoot. This was considering that the day was perfectly bright and there was an abundant of natural light (another challenge). 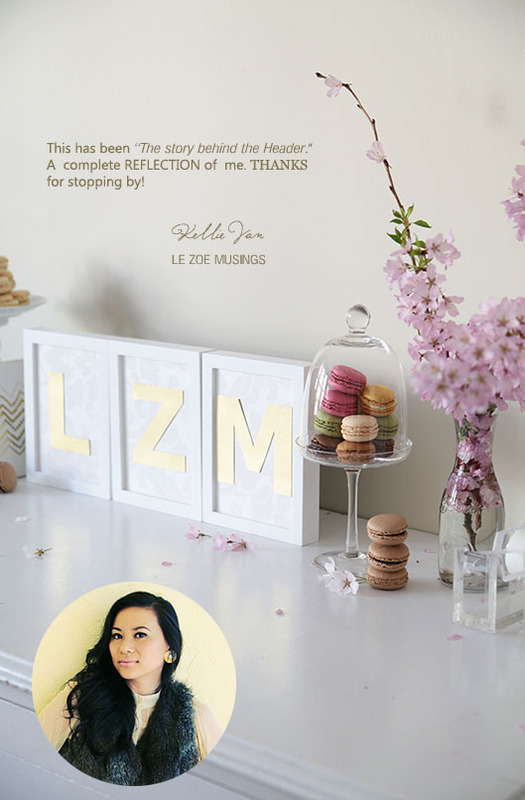 So with timing being perfect, I had the help of my husband (a very talented creative thinker + perfectionist) to execute my vision of the ideal header for LZM. 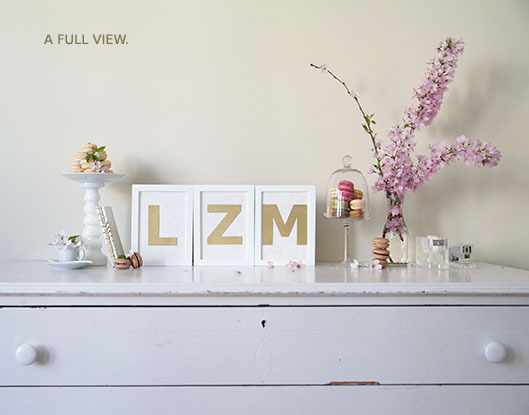 The details… I knew that I wanted the letters LZM to be the focal point. At first, I had considered monogram mugs. Then settled on decorative wood desk letters by Tres Chic of Design Styles. After purchasing the letters “L” and “M”, I scoured the earth & internet to find the letter “Z” with no prevail. Panic mode- what now?! I thought about framed letters as my third option. So I printed out the letters LZM, traced them onto a black card stock, cut & almost frame them…when my husband suggested that I should spray paint the letters gold. Of course I should! Finally, I framed them with a white damask (wallpaper) background…another idea of the hubs. Timing is of the essence. These beauties weren’t going to wait for me. 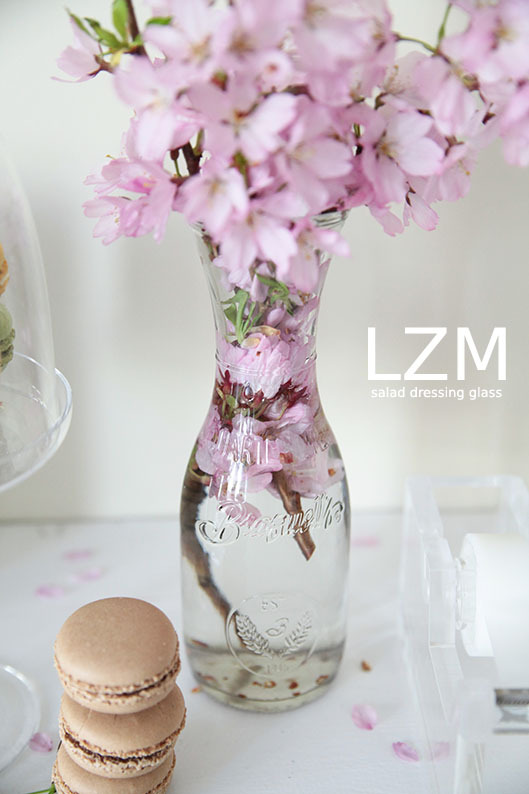 A recycled salad dressing glass container doubled as a vase for the cherry blossoms. I also use this glass container for drinks (as seen in this post). Tres chic! Timing was truly perfect. 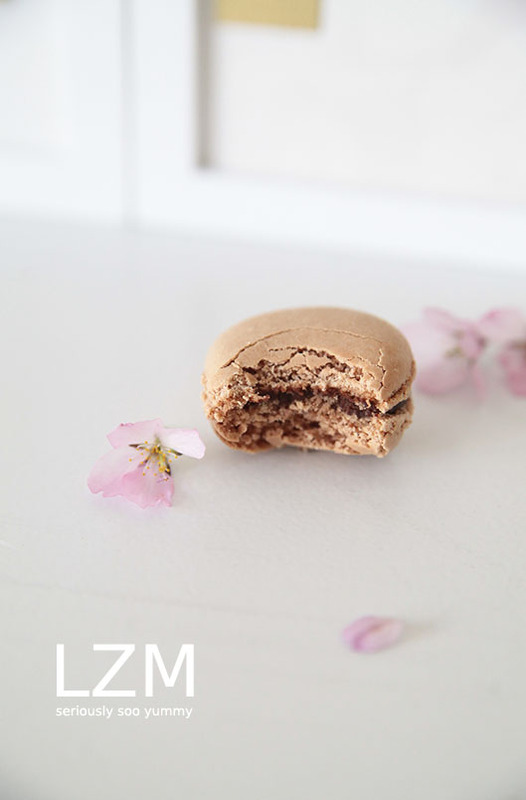 I was thinking of baking the macarons myself (never did this!) when my sister called, said she got some from PARIS, and was sending them my way. Seriously, sometimes the stars, moon, and macarons align just right. I guess we call this FATE? I LOVE pretty journals. These white and gold ones by George Stanley screamed my name LOUD and CLEAR. This dessert stand was everything! White, glossy, pretty, and cheap! The base is actually a thrifted candle holder that I got for $2! 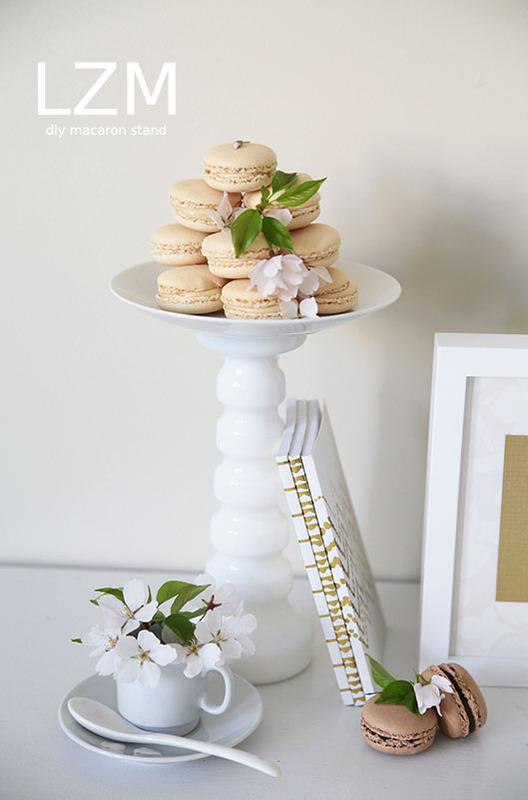 Added a white plate on top and it transformed into a macaron stand of my dreams. 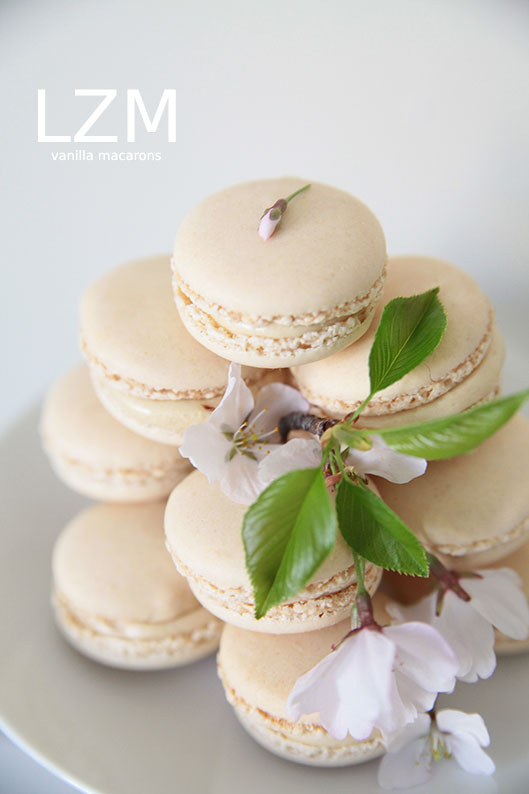 Vanilla macarons dressed up with white cherry blossoms. Another current obsession of mine? ANYTHING lucite or acrylic. From coffee tables, chairs, desks, to office supplies. The ones shown above are from Kantek. Link to purchase stapler (on sale $14.13) here. 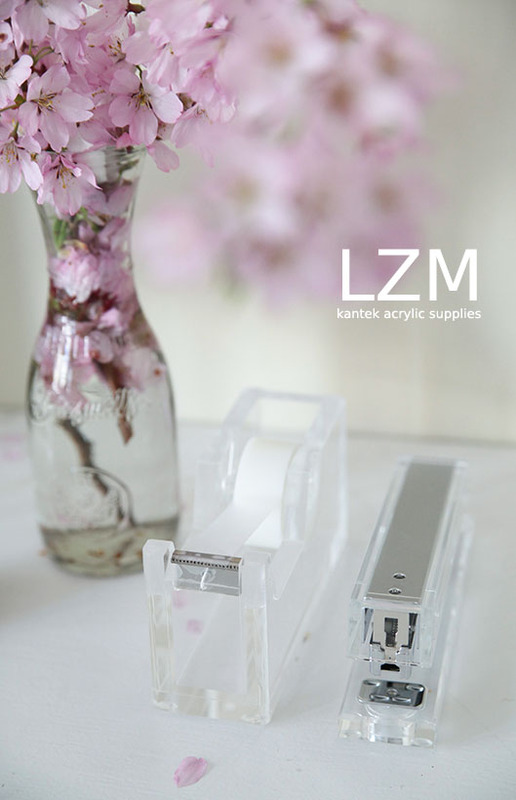 Link to purchase tape dispenser (on sale $12.21) here. I consider these affordable luxuries! Espresso cup and saucer set was another thrifted item. Scored for less than 2 bucks. YEP. After some hard work, my husband and I devoured them. Of course we left some for Ms. Zoey. Everything was laid on top of my so beautiful Parisian vintage white dresser. You see, creating a blog header that truly depicts one’s style sensibility is somewhat challenging but not impossible. 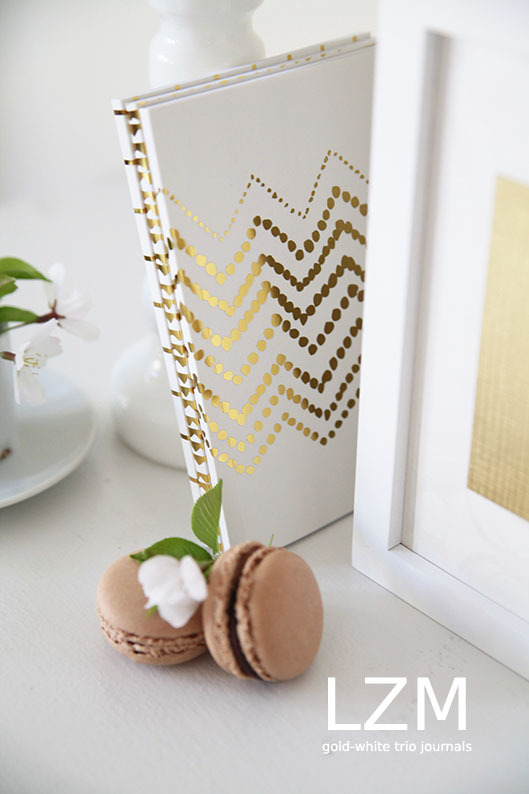 It’s a combination of fate, perfect timing, fine tuning details… drizzled with some creativity. A stressful but fun process well worth taking. All images taken by yours truly with Canon 5d Mark ii. Thanks for visiting my blog and, in so doing, introducing me to yours. “Lots of natural light, white, gold, an airy happy feel, and creating an eye-candy setting that exudes creativity…” — how delightful, and intriguing! I’ll definitely be back! Great new header, so simple and stylish! I love your styling in the photos! So beautifully done! Love this! The photo is adorable, love the styling and the beautiful flowers. I’ve had an obsession with all things lucite/acrylic/transparent as well too, it’s an addiction! Also, your husband is awesome. I wish my bf had half the enthusiasm he has about helping me with photoshoots haha. Thank you for stopping by y cyber space and I have my cyber eye on you..love the pics and the creation of your personal space…awesomely uniQue…dismiss my word spellings..purely meant to exaggerate the beauty of your efforts! Oh Kellie, what can I say? One word — Perfection! The header is gorgeous…so elegant! ❤ ❤ ❤ ❤ ❤ ❤ this post~ I really love cherry blossoms! They are like the only thing pink that I like, and then, suddenly there's a lot of cherry blossoms products out there, from hand cream to perfume~ I really wish I could spend so much on them! And yes, I love those lucite/acrylic stationery~ I bought a hole puncher from TYPO, but gave the stapler a miss because I already had a pacman one and I don't use stapler a lot at home — it was only at office, and I already had two! It was a real pity, but one has to be sensible at times. Kellie, I love the generosity with which you share your ideas and creativity. Also love the fact that you mix expensive luxe items with absolute bargain luxe items. Awesome work! Good natural lighting is so hard to achieve b/c our place is fairly dark overall. Timing is everything! I have been a lurker on your blog for some time now. Thought I should de-lurk and tell you that I really love the attention to detail and the the thought behind the new header of yours! Tres chic indeed! I love, love, love this. Everything about it is perfect and I can definitely relate to it! I love the new header and how awesome/helpful your husband is. 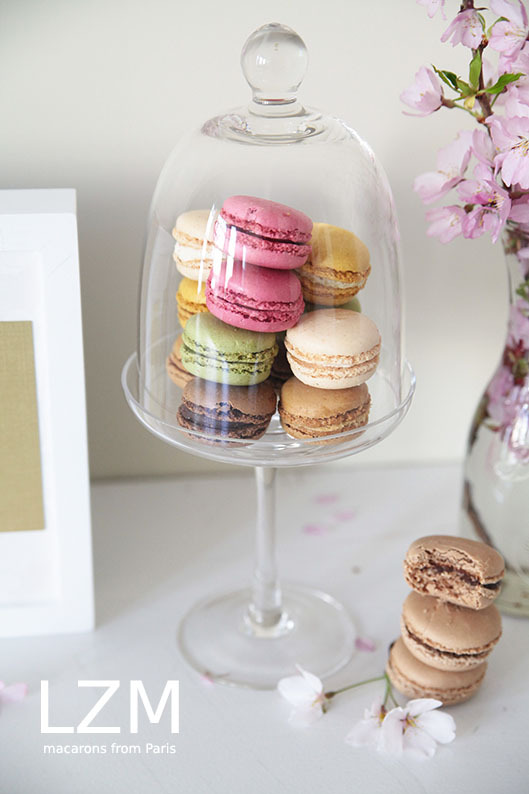 Those Parisian macarons are the perfect touch. Très jolie! 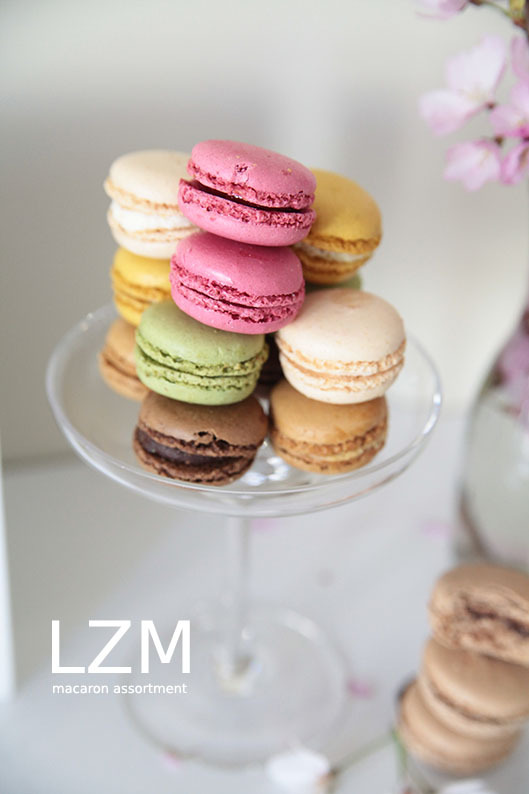 What a beautiful blog– and now I really, really want macaroons! Thanks for following my blog ❤ Namaste. I always love your photos.. Your new header is gorgeous! 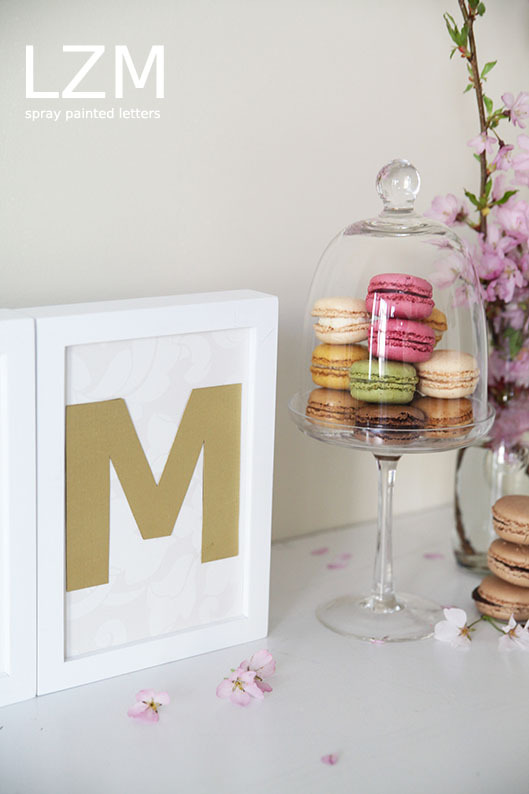 I absolutely love all of it, especially the macarons and cherry blossoms. Great work! Thanks for sharing that process with us, Kellie. The magic is really in the details, which you are so incredibly attentive to. Just used my tacky, office-y stapler and now I think I’m going to be on the hunt for lucite, which is a material that I have loved since . . . oh, nevermind!